Marta Pascual Altares (PhD, MSc Marine Environment & Resources (MER), BSc Biology) is Ecorys Senior Associate and Support Team Member for the West Med Team. Marta is part of the MSP Platform Technical Study team for the “Study of Blue Growth and MSP” and is responsible for those activities related to the Western part of the Mediterranean Sea. 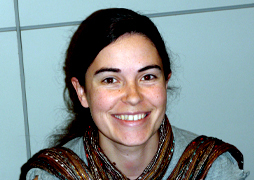 She is a former Ikerbasque Post-Doctoral Researcher at the Basque Centre for Climate Change (BC3), former visiting academic at the Australian Research Council Centre of Excellence for Environmental Decisions (CEED; University of Queensland - Australia) and former Support Team representative of the Spanish National Unit of the Atlantic Action Plan. She has 8 years of professional experience in different lines of marine and coastal research applied to Marine Spatial Planning (MSP); Ecosystem Services Mapping/Modelling; Integrated Coastal Zone Management (ICZM); Biological Valuation (BV) and Ecosystem Services Valuation (ESV). She has participated as a researcher in the following projects: MESMA (Monitoring and Evaluation of Spatially Managed Areas); PERSEUS (Policy-oriented marine Environmental Research for the Southern European Seas); CoCoNET (Towards COast to COast NETworks of marine protected areas); GEF -Integration of climatic variability and change into national strategies to implement the ICZM Protocol in the Mediterranean; MARE/2013/11: Assistance Mechanism for the Atlantic Action Plan; AQUACROSS (Knowledge, Assessment and Management for Aquatic Biodiversity and Ecosystem Services across EU policies). Her work has also succeeded in 16 publications in International peer-reviewed journals and book editorials.